Spring is in the air! 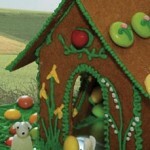 Easter is just around the corner and we are loving all the Gingerbread Spring/Easter goodies that we can make! There are so many pre-made Gingerbread House kits on the market today and it really makes it convenient to celebrate most occasions with a particular theme. 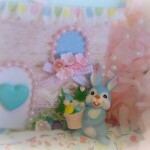 Wilton makes pre-made Gingerbread House kits in bunny rabbit themes – Bunny Hutch and they are super cute. You can find kits that are pre-baked and pre-assembled and all you have to do is decorate! 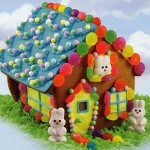 I think it would be amazing to decorate a giant Easter Egg Gingerbread House!! Visit here for details.